pOSTING in jharkhand, Orissa and north east. 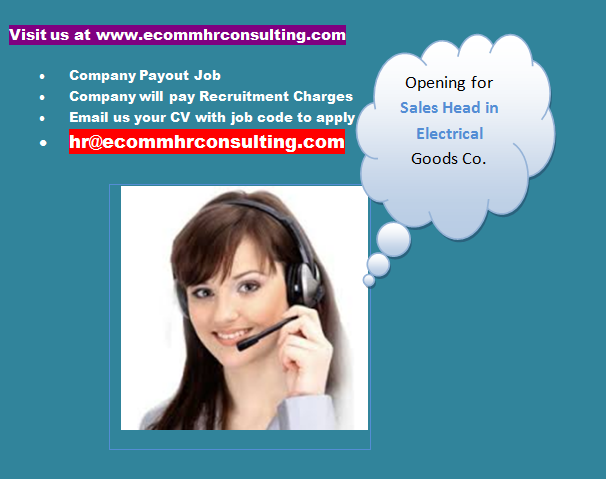 Please Note: We will hire candidates only from Reputed Electrical Goods Manufacturing Company with minimum 5 years experience in Sales. Reputed Manufacturer of Electrical Goods. Managing the Entire Business Operation. Managing the network of Dealer. Follow up of the payments.